Oak Mountain Dental has not yet specified accepted insurance plans. Oak Mountain Dental has not yet specified any specialties. Your Friendly Caring Pocatello Dentist! NEW PATIENTS: Get a FREE WHITENING or $100 CREDIT towards expert care in Pocatello! 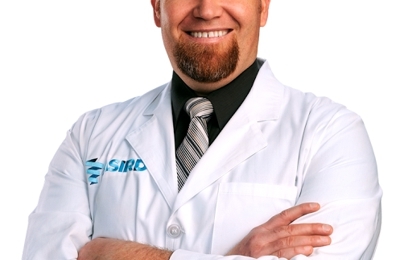 Dr Jake Richards - Your Friendly Pocatello Dentist for everyone in the family. 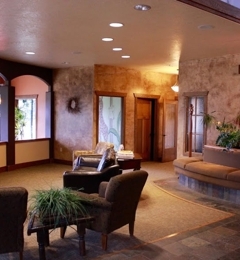 Our peaceful office, caring staff, and new technology, offer you expert care. New Patients: Get a FREE WHITENING or $100 CREDIT towards care in our Pocatello office. We will assist you in total dental care needs which include regular checkups, regular hygiene visits, and home oral health care routines. We offer General Dentistry which includes: Child Dentistry, Crowns, Gum Treatments, Root Canals, Dentures and Partials, Emergency Care, Inlays and Onlays, Bridges, and Dental Implants. We also specialize in Cosmetic Dentistry including: Porcelain Veneers, Teeth Whitening, Cosmetic Bonding, Six Month Smile®. Dr. Richards and his expert staff is pleased to provide excellent dentistry in Pocatello, Malad and the nearby communities of American Falls, Aberdeen, Blackfoot, and Inkom. We welcome you to call or visit our friendly dental office today to learn more about us, and to set up your next visit. We are eager to care for you and your family! Comprehensive and General Family dentistry which includes: Child Dentistry, Crowns, Gum Treatments, Root Canals, Dentures and Partials, Emergency Care, Inlays and Onlays, Bridges, and Dental Implants. Enhance the beauty of your smile. Dr. Jake R. Richards is skilled in a variety of cosmetic dental treatments, including the following:: Porcelain Veneers, Teeth Whitening, Cosmetic Bonding, Six Month Smile®.